Engaging with students actually depends on the objective and goals of the institutes, for which they use digital practices. A unique and innovative strategy to reach out to students brings a longer impact on their mind. The campaign was planned to connect with new users and engage them throughout the process. It’s not that simple to engage the audience and grow organically, the content quality and proper timing are well needed to get exponential growth on social media. To increase the organic growth of social media page especially Facebook and Twitter. To increase traffic over the social media pages. To increase brand awareness and reach among the audience. Run the campaign to increase overall organic growth in terms of likes, shares over the page. To increase the overall engagement rate on Facebook, and Twitter. Launch the contest on Twitter and Facebook, follow, post and participate. Ask the audience to like and tag their friend in the comments. Winning prize for the winner of the contest. And share over social media. Share the stories of Christmas eve on social media. The time never comes back, it should be cherished and enjoyed with no regrets over it. The contest was being launched to cherries and reward the memorable moment that one has enjoyed and that give inspiration to others too. The strategic move has been taken to increase the overall organics growth of social media pages. It not only attracted the audience but also engage them for a long period of time, waiting for a new contest to come up soon. Its important for an institute to be active on social media, rather than having a presence over social media, thereby keeping your audience engage through these tactics brings more likes, more engagement. And the Result of which you are able to generate required lead and promote brands. 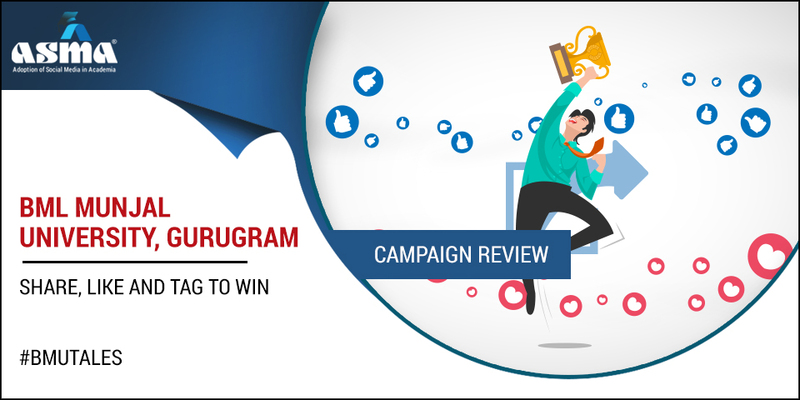 The proposition for an engaging audience has been started with launching the contest on Twitter and Facebook. Post related to rules of the contest “Follow, Post and Participate”. Social media buzz created via the inclusion of the sponsored causal post. Post touched the emotional aspect of life, finding the Santa nearby you. The post-launch notes of the contest were loaded with thank you for participants, highlighting the overall success of the contest and winner of the contest. The posts over Twitters were exclusively for the launching of a contest and reaching out to the audience to participate in the contest. Contest engagement post related to the closing date of the contest. Ask the audience to share the stories worth sharing on social media handling. Facebook has received a good response in terms of likes and shares, with over 7100 likes and 33 comments over the contest post, actually brought the level high. The overall likes have been increased with a high percentage during the contest. Post related to the winner of the contest. Post related to share good, bad or any stories of hostel life, campus life or other memorable events worth sharing on the social media.